Click here to view/print our service brochure! 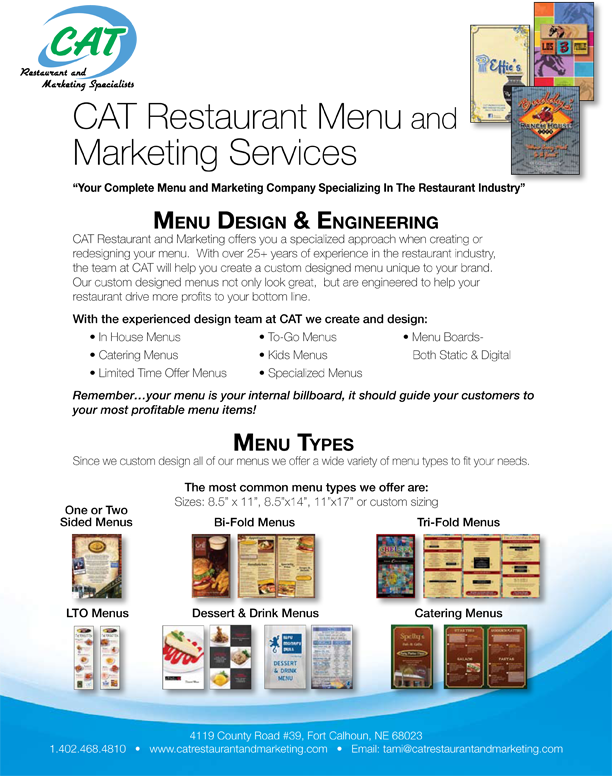 CAT Restaurant and Marketing offers you a specialized approach when creating or redesigning your menu. With over 25+ years of experience in the restaurant industry, the team at CAT will help you create a custom designed menu unique to your brand. Our custom designed menus not only look great, but are engineered to help your restaurant drive more profits to your bottom line. Remember…your menu is your internal billboard, it should guide your customers to your most profitable menu items! Since we custom design all of our menus we offer a wide variety of menu types to fit your needs. All Your Menu Printing Needs are available through CAT Restaurant and Marketing Specialists! Quality Is Our Number One Focus! The digital presses we use print on 100# gloss paper for our In House Menus. • Our menus are in full color or with the option of two-color or one color print. • For some of the newest trends, ask us about our non-tear paper menus….no lamination needed! We offer some of the most competitive pricing in the marketplace for our custom designed menus! Contact Us Today For a Price Quote! 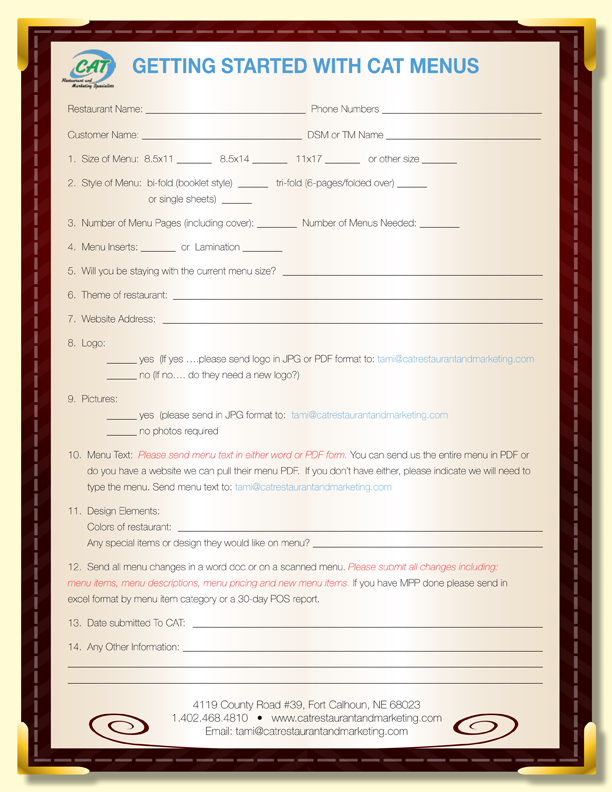 Click here to view/print our "Getting Started Form"
To Get Started With Us…..